Canon Microfilm Scanner 400~FREE FREIGHT! Mekel M625 microfilm scanner with computer and software. For use with KonicaMinolta MSP3000 Printer. 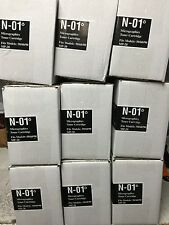 BLACK TONER IMAGING UNIT 4161106. M95-0411-010, 3708A005AA, 3708A006AA, 3708A007AA. Used for the MP50, MP55, MP60 and MP90. Model: EX7. Manufacturer: Canon. If an accessory is not shown in the photos it is not included in what you will receive. Eyecom 6000 Microfiche Reader - WORKS - Bulb works fine. Good Machine. For use with KonicaMinolta MSP3500 Printer. BLACK TONER IMAGING UNIT 4563302. Manufacturer:e-Image Data. We do our best to fully describe the condition of each item. If an item is not shown in the photos it is not included in what you will receive. M95-0481-000, 4534A001AA, 4534A001. 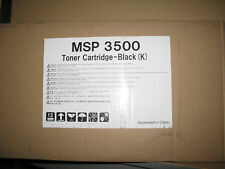 1 NEW CANON M 30N TONER. Used for the NP 880, 980. MICRON 780 SCREEN IS LIGHTLY SCRATCHED, BUT STILL WORKS. 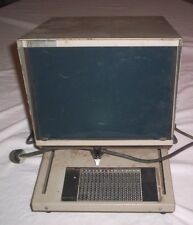 This is a Micro Design model 150 microfiche scanner this works good except the focus needs repair. This is in excellent condition and has been fully checked and tested by our technician. The unit was in excellent condition with low usage. They will never be clean again. This unit is in excellent condition. It is clean, the finishes are excellent, the optics are also, all plates surfaces shine, operation is smooth, cord and plug are good. This module has been used on the Sunrise P4, Sunrise 2500 and Sunrise 3000 model scanners. We have also included the Properties window to further show that the rollfilm module is mounted during this demonstration. Compact Desktop Reader Scanner, 1 second capture! SnapLOCK DUAL K FORMAT. MS-15 and MS-20 are interlocking Standards. Includes reel, trailer, and adapter.as shown in pictures. Money must be drawn against a US bank. The sale of this item may be subject to regulation by the U.S. Food and Drug Administration and state and local regulatory agencies. (MRD, MRD-2. Part Number Approximate Weight Handling:Free As Always. We Will. INK / PRINTHEADS / FUSERS / TONERS & OTHER CONSUMABLES ARE NOT COVERED UNDER WARRANTY ). Pulled from running Sunrise Imaging microfilm scanner. In good working condition. Pulled from running Sunrise Imaging microfilm scanner. Passes all SRITEST diagnostics. Sold as-is. 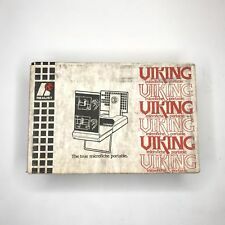 It was tested for power up but we could not test its printing capabilities.This reader printer uses a 3M thermal paper that is no longer manufactured. This Reader Printer can however still be used asa fiche viewer or a collector item. It is rated at 50 Watt 13.8 Volt. This lamp was commonly used in Kodak & GAF microfilm readers and other uses. For use on Model 275 AAN 500 Reader Printers. 3M / Imation Actuator Switch Rod. Material : steel. COPEX HDP film is known worldwide for its image quality and performance. Spool: MSP. Type: Pet 13. Size: 16mm x 100'. It is rated at 50 Watts 13.8 Volts. This lamp was commonly used in microfilm readers and other uses. From Microprinter 90 Microfiche Reader. Manufacturer: Canon. We do our best to fully describe the condition of each item. If an accessory is not shown in the photos it is not included in what you will receive. Canon Microfiche Reader Printer *Lens for a Canon Microfiche reader-printer. (MRD, MRD-2. INK / PRINTHEADS / FUSERS / TONERS & OTHER CONSUMABLES ARE NOT COVERED UNDER WARRANTY ). We Will. Approximate Weight. (MRD, MRD-2, 156885. INK / PRINTHEADS / FUSERS / TONERS & OTHER CONSUMABLES ARE NOT COVERED UNDER WARRANTY ). Part Number We Will. Approximate Weight. We all rally together under the battle call, "Hey! That's not junk!". Bringing about that shift. You can also reach us by phone, toll free, at1-877-4TEAMGP(483-2647). Drop us a line and we will assist if we can.